School Spaces | School Furniture, Design & Space Planning by Trade West. 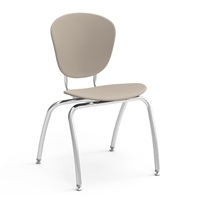 Trade West has been outfitting and furnishing educational spaces for over 32 years. We understand that an inspiring and dynamic learning environment is one of the key components of a quality educational experience. 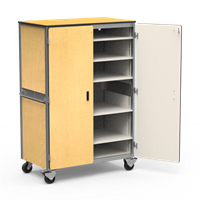 Whether you are maintaining a traditional layout or reaching out for classrooms of the 21st Century and universal learning environments, Trade West has the product range to fit the need. We have worked closely with educators and designers to develop and produce products that assist with inclusion and self-regulation strategies, ensuring a healthy solution for every student. AIRstool Motion Stool - FOR KIDS - NEW!! Focal Fidget Active Stool, 14"
Focal Fidget Active Stool, 18"
Focal Fidget Active Stool, 22"
General Purpose Heavy Duty Tables - 24" x 60"
General Purpose Heavy Duty Tables - 30" x 60"
General Purpose Heavy Duty Tables - 30" x 72"
Magnetic Whiteboard/Marker-Boards - 48" x 72"
Magnetic Whiteboard/Marker-Boards - 48" x 96"
Virco 785CT Collaborative Top Desk - NEW!! 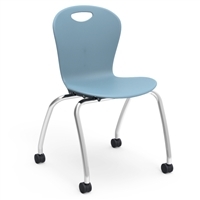 Virco Mobile Cafeteria Tables - Bench Seat - Folding - 30"x144"
Virco Mobile Cafeteria Tables - Stool Seat - Folding - 30"x144"
Z Series Stacking Stool - 18"
Z Series Stacking Stool - 22"
Z Series Stacking Stool - 24"